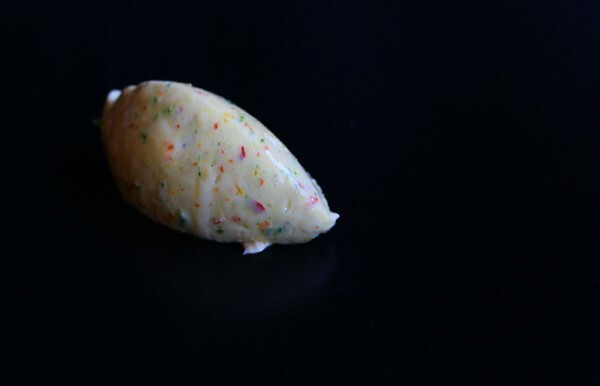 Flavored Butter is a great way to add flavor to almost any dish. 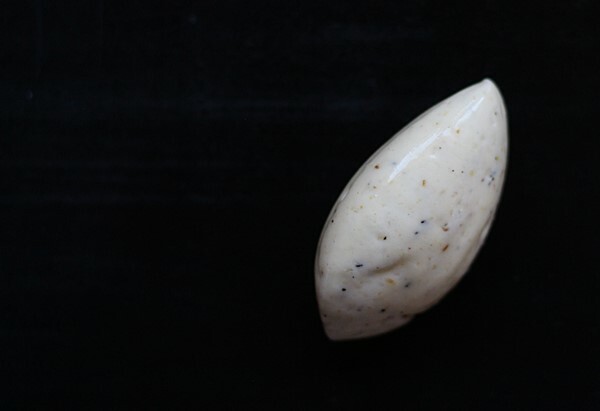 Learn how to make flavored butter and how to use it. We’ll take you through everything you need to know and how to use it and store it. 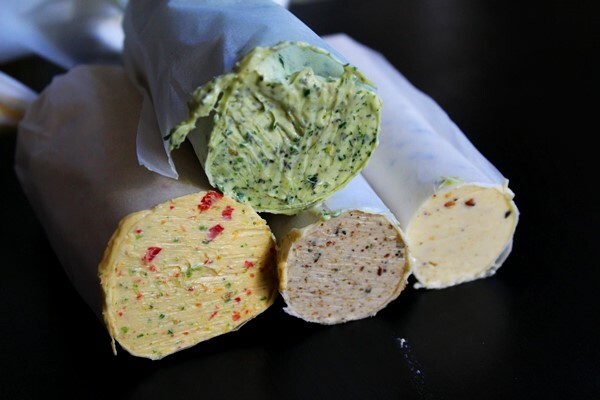 You can also try any of our four great recipes for flavored butter that can be used for so many things. 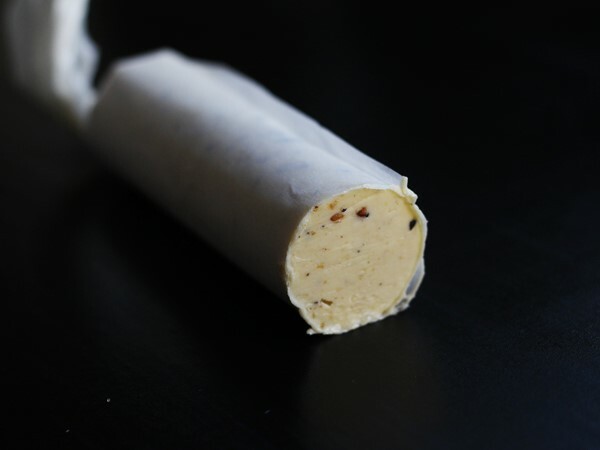 Flavored butter is a very simple thing to do and it will lift the simplest of dishes or meats to the next level. 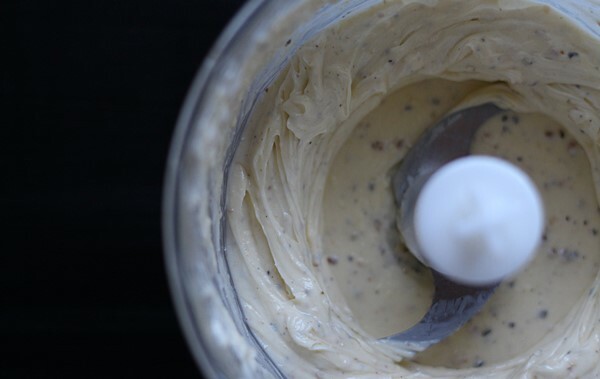 You can also make it in bigger batches and store it for a few weeks. But let’s start with the basics. Well let’s start with the obvious, you will of course need butter. And for these recipes you shouldn’t use anything else. No margarine or any stuff like that. I use a Swedish regular salted butter, that what’s around here and it works fine. You will also need some vegetable oil. I use canola oil but you can use any kind you’ll like as long as it is neutral in taste. Some go for olive oil but personally I think it adds too much flavor. I want the butter to play the key role. Also using olive oil especially if you’ve got a good one is a waste of money. Save that good olive oil for a salad or carpaccio instead. You will also need something to flavour the butter with. And this is the simple part, you can use pretty much anything but if this is your first time I recommend you to try one of our four recipes that you can read further down below. It’s always a good idea to try something that’s been tested before starting to experiment. 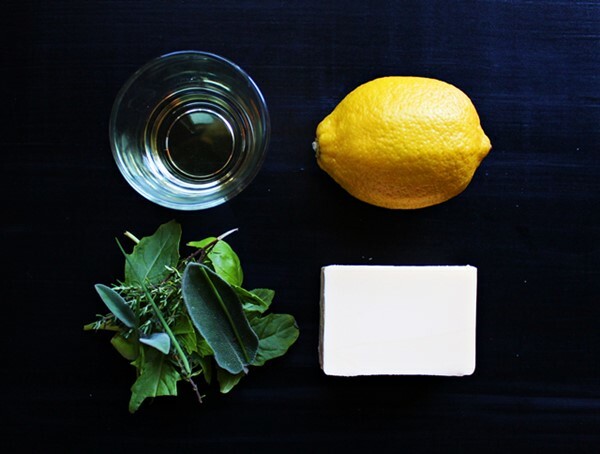 The process of making flavored butter is very simple. This is the whole process in a few simple steps. Temperature the butter, leave the butter in room temperature for at least one hour before you start. If you’re in a rush you can carefully microwave it but letting it get soft in room temperature is the best way. 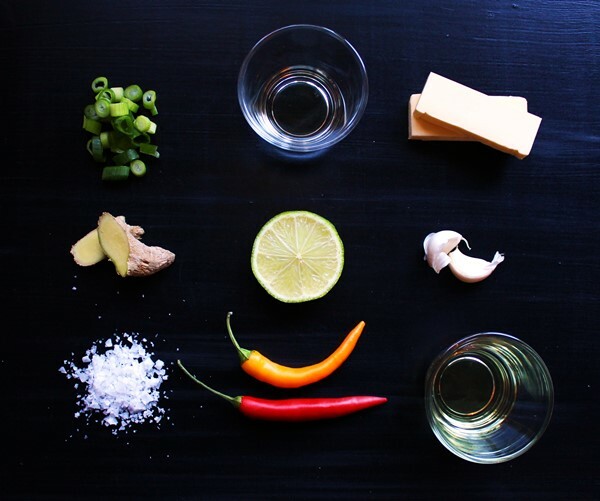 Mix the oil with the flavor you want to add. Depending on what you choose to flavor your butter with it is not always necessary to mix the oil before but you can read on that in each recipe. Mix the ingredients with about 10-20% of oil. Usually the more you mix it the better. I like to mix it until it is an almost smooth paste. 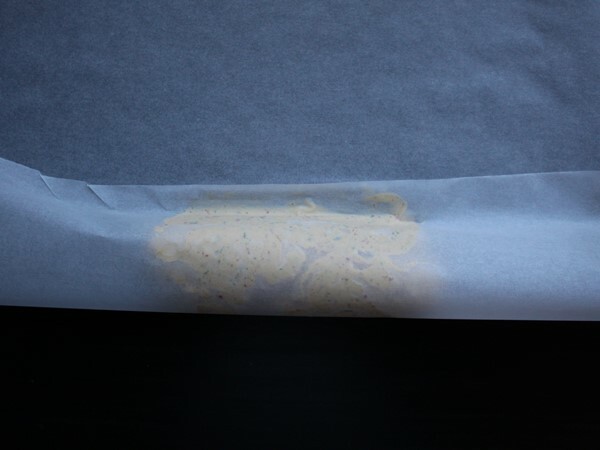 Wrap the butter in paper or plastic if you want to store it. Otherwise use it straight away. You can use flavored butter for so many things. First and what is probably the most common is to serve it to grilled meat or fish. Just cut the butter in slices if it’s from a batch you’ve made beforehand, otherwise just serve it on the side and your guests can add as much as they like. And yes you can of course serve it with bread. But there are more ways to use flavored butter and only your own imagination is the limit, here are some great ways I tend to always go back to. Roasted or boiled potatoes – add the flavored butter once the potatoes are done, let it melt and toss it to make sure the flavors is distributed on all the good stuff. Toast bread – use the flavored butter when toasting bread in a pan for a sandwich. Grilled vegetables – make some grilled vegetables, once they are done toss them in the flavored butter. Pasta – according to most Italians you’re not suppose to use butter in pasta but who cares. Adding flavored butter to any pasta tastes great, try it and you’ll see. Rice – add it to finish off any risotto or other rice dish. Like a paella or a fried rice. Ok so what to flavor the butter with? Well let’s start with out four varieties. 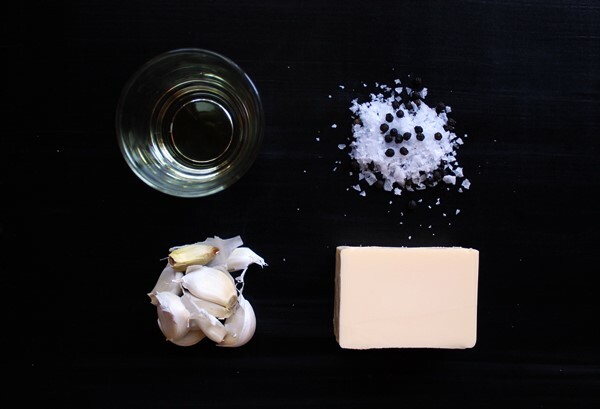 We got recipes for Roasted garlic butter, Herb and garlic butter, Truffle and mushroom butter and our Chili Thai flavored butter. But there are other ways. Only thing you need to remember is that if you use vegetables it is always better to cook them first. I usually roast or fry them. And if you’re using something liquid you’ll might need to reduce the oil to not make the butter to soft. But there are way more things to try, here are some more suggestions. 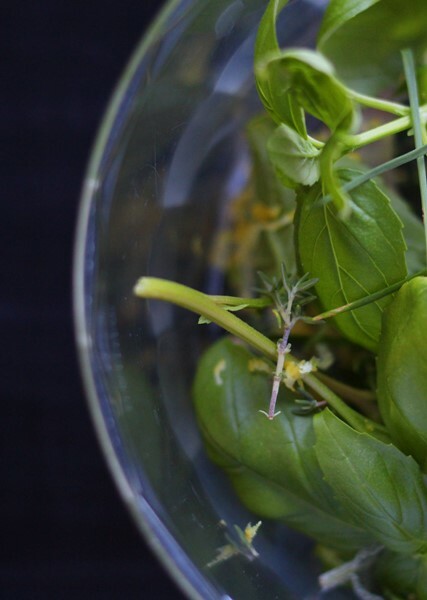 Herbs – any herbs is great, use them separately or together depending on what you want to serve it with. Onions – garlic, scallions, shallots, any kind work fine. Just remember to cook them first as written before. 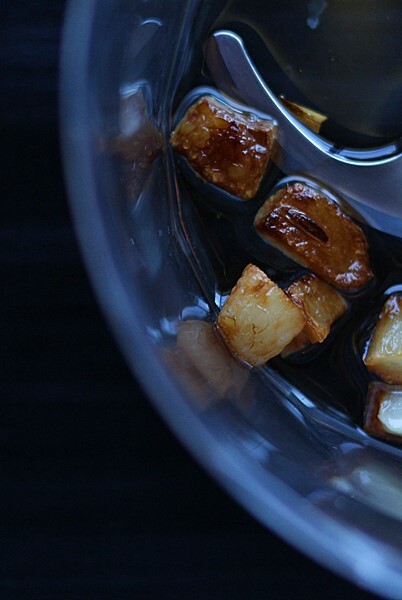 Wine & Vinegar – wine or vinegar or spirits work good to, try red wine and roasted shallots for one. 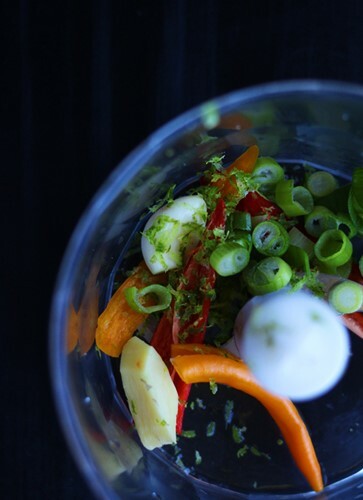 Vegetables – roast them before to add flavor and remove some of the liquid. Try peppers or carrots. Besides these you can try capers, sundried tomatoes, olives, pesto just to mention a few. As I said before only your own imagination is the limit. 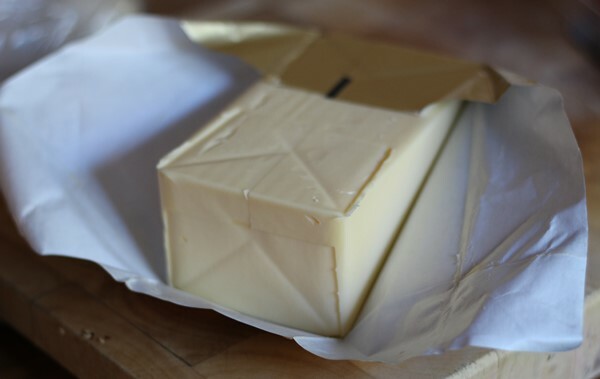 You can choose to either use the butter as soon as you’ve made it or you can roll it in paper or plastic wrap and store it up to two weeks in the fridge. If you choose to chill it you won’t be able to shape it into eggs or anything like that. Then the best way is to cut slices and serve. This is a great way if you want to prepare a dinner a few days in advance. 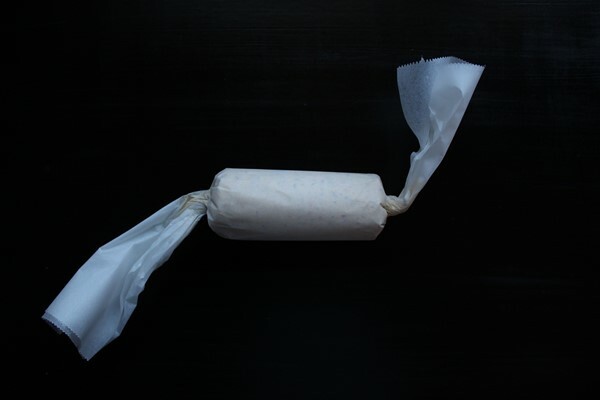 In these photos you can see how to wrap the butter if you decide to chill it. Alright let’s start with some actual cooking, we have got four different recipes for flavored butter. Each recipe uses 150g of butter, this is about how much you will need if you are serving this to four guests. But it is almost the same work to double or triple the recipe and make some extra. It is also a bit easier to mix the ingredients if you are using more, so if you know you will use it make extra. This is a great butter for grilled meat. The roasted garlic with the heat of the black pepper works great for anything grilled but especially beef. Peel the garlic and add them and the oil in a pan. On low to medium heat roast the garlic slowly until it is completely soft. You don’t want it to be too dark because then it will taste bitter. So it is better to start on a low heat and then turn it up if necessary. Once the garlic is brown and soft set it aside and leave to cool for a few minutes. Add the garlic and oil to a mixer and mix until almost smooth. Add the butter, salt and black pepper and mix until smooth. Check the taste and add more salt or black pepper if you want to. I like this butter with lots of pepper but you can of course adjust the pepper to your own taste. This butter is not as strong but still packed with flavor, I love this for steamed or seared fish. It is also great to toss boiled potatoes in. Grate the skin of the lemon using a microplane or potato peeler. 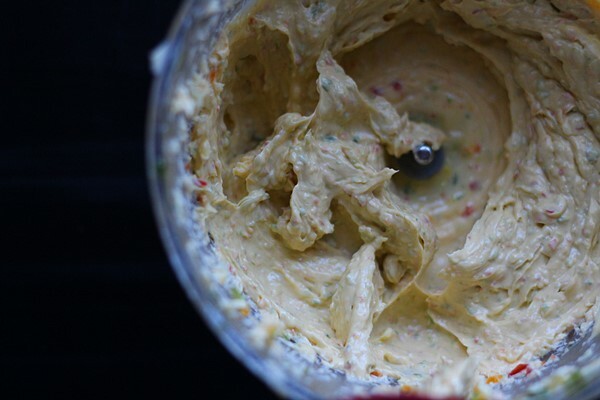 Add the oil, lemon peel and herbs to a mixer and mix into a paste. Add the butter and keep mixing until smooth. This butter goes very well with a bit of garlic as well but for this recipe I decided to try without and it works good too. I especially like this butter with pan fried fish. 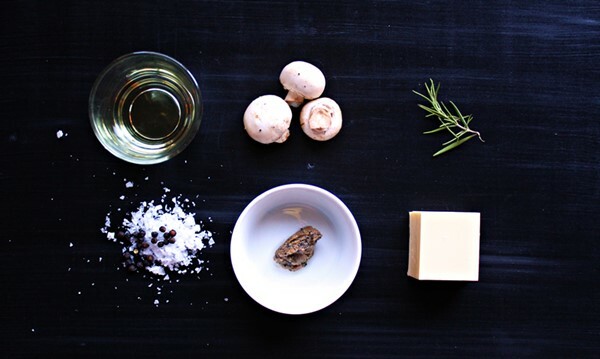 In this recipe I am using truffle cream, that is mixed black truffles in oil. If you can’t find it you can replace it with truffle oil or fresh truffles. But you have to adjust the measurements. So start with just a little bit and add more after checking the taste. I use this butter for any meat, bruschetta, risotto. You will not regret trying this one. 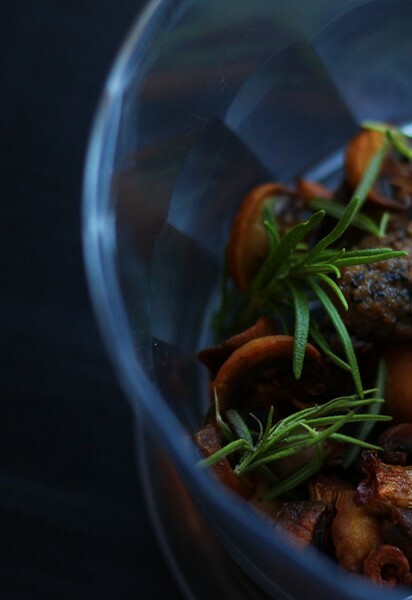 Slice the mushrooms and cook them in the oil until golden, once the mushrooms are done add the garlic and rosemary and let it cook for a few seconds. Add the mushrooms with the oil and spices and truffle cream to a mixer and mix until it’s almost smooth. Add the butter and mix until smooth. Add salt and pepper. This one is a bit more special, with the Asian flavors it is a bit different. Try tossing grilled or seared shrimps in this butter. Chop the chillies roughly, I used one red and one yellow, you can choose any color you like. If you don’t want the butter to be too hot you can remove the seeds and the seed walls before chopping the chillies. Slice the scallions and peel the ginger. Grate the peel of the lime using a microplane or potato peeler. Add all ingredients except the butter to a mixer and mix until almost smooth. Add the butter and keep mixing until smooth. Season the butter with salt.